Getting it right in the "settings" department provides for optimum interaction with possible DNA matches. 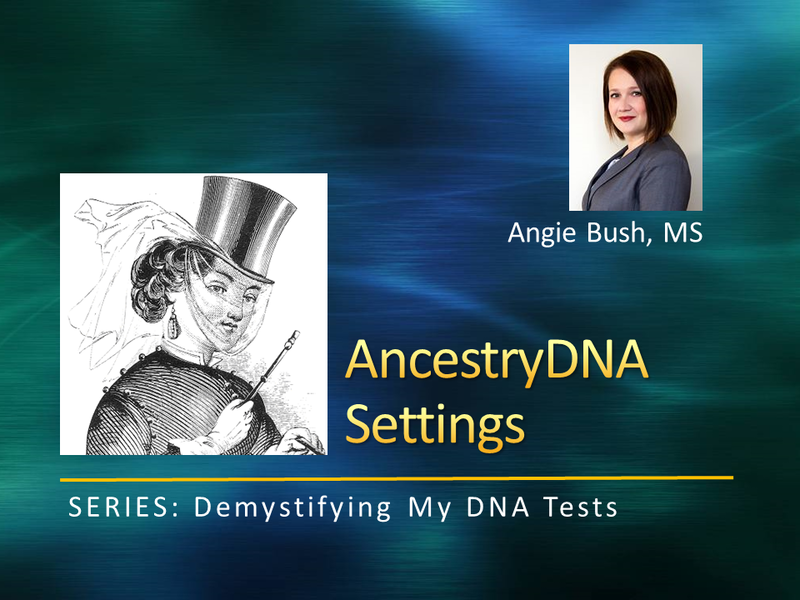 Ol' Myrt's DNA consultant Angie Bush, MS goes through each AncestryDNA Settings section in this short-subject video. Thanks, Angie, for the calm, patient approach! Ol' Myrt here is feeling less worried about learning this DNA "stuff." If you are interested in hiring Angie Bush here is her contact information. 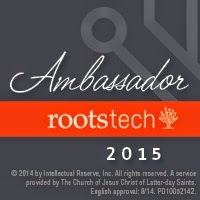 Just don't try this coming week as she will be co-coordinating the Advanced DNA course at the Salt Lake Institute of Genealogy with her colleague CeCe Moore.